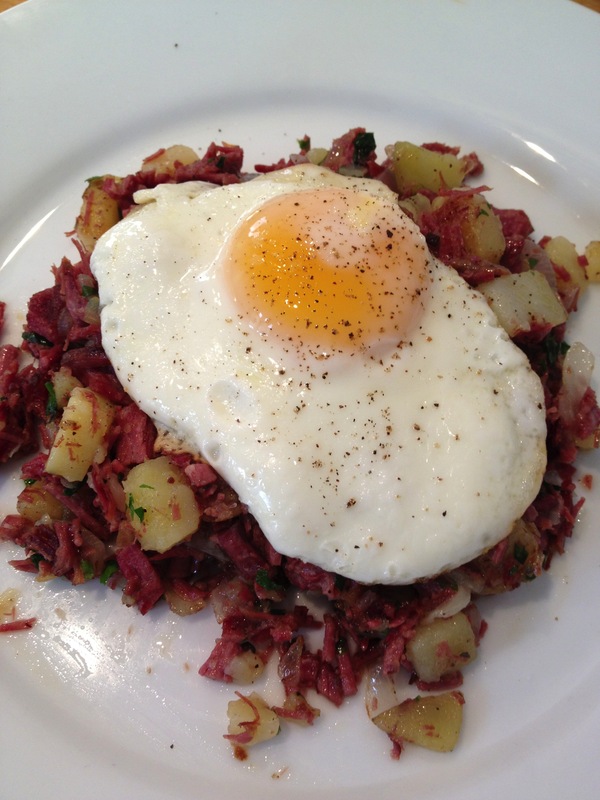 john's fantastic hash and eggs breakfast! so delicious! and authentic! just need a wok! Reprinted with permission from Ching’s Everyday Easy Chinese: More Than 100 Quick & Healthy Chinese Recipes by Ching-He Huang, copyright (c) 2011. Published by William Morrow Cookbooks. Mix together the ingredients for the marinade in a large bowl, then add the beef and stir to coat. Cover the bowl with plastic wrap and set aside for 20 minutes to marinate, then remove from the marinade (reserving it) and dust with the cornstarch. Heat a wok over high heat, and when it starts to smoke, add half the peanut oil. Add the ginger and stir-fry for a second or so, then add the vegetable mixture and toss together in the wok. Add a drop of water to create a little steam for cooking the vegetables. Cook for 1 minute and transfer to a plate. Place the wok back over the heat and add the remaining peanut oil, followed by the beef. 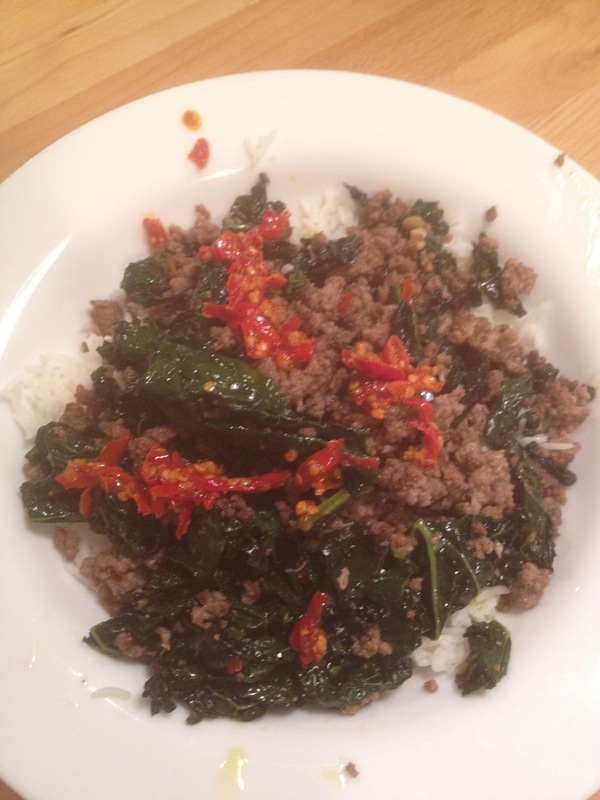 Let the meat settle for a few seconds, then stir in the wok for 1-2 minutes. 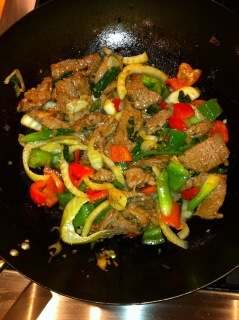 Add the stir-fried vegetables and toss together with the beef. Season with additional light soy sauce, then transfer to a serving plate and eat immediately.